Pumpkin Spice Puppy Chow By Chelsea from Gal On A Mission. 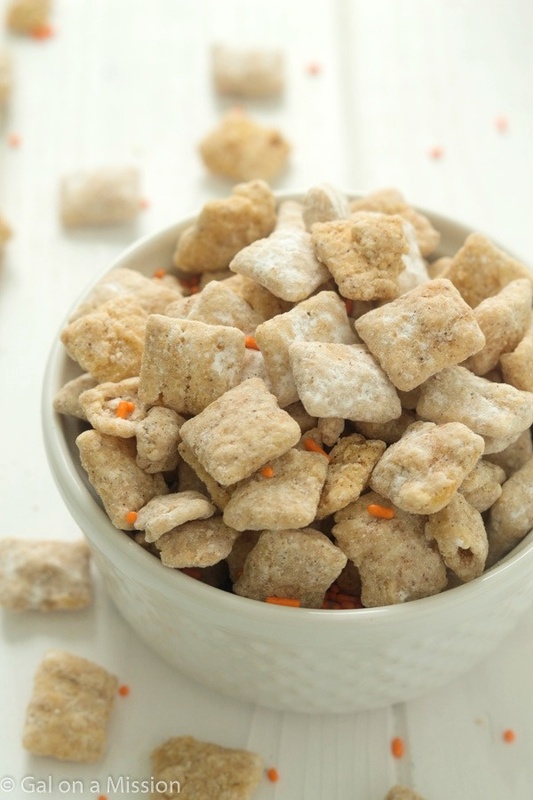 An addicting pumpkin spice puppy chow recipe that is really easy! You will not be able to stop!